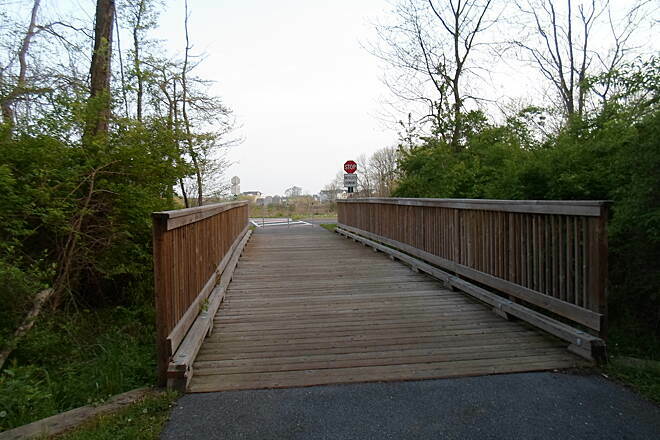 Trail end points: Trailhead and parking lot off Valley Road and Worthington Commons, off Route 272 (Oregon Pike). 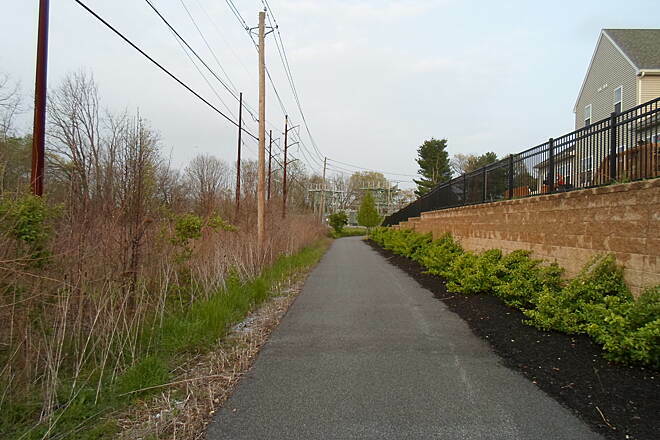 Part of the township's ongoing efforts to create a network of multi-use greenways, Manheim Twp. 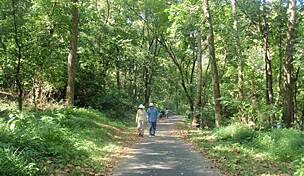 's Heritage Trail begins at Valley Road and extends south, along the eastern boundary of Landis Woods to Delp Road. 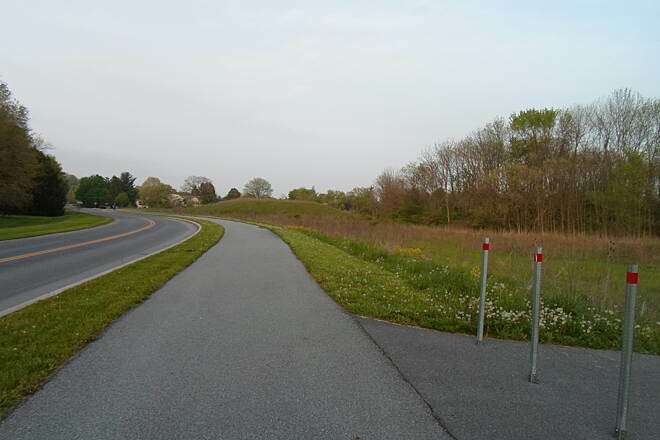 From here, trail users have the option of turning east along Delp Road, and going back across Valley Road to the Hands-On-House and Landis Valley Museum, or continuing south, crossing Landis Run and adjacent wetlands to the Worthington Shopping Center and development off Oregon Pike (Route 272). 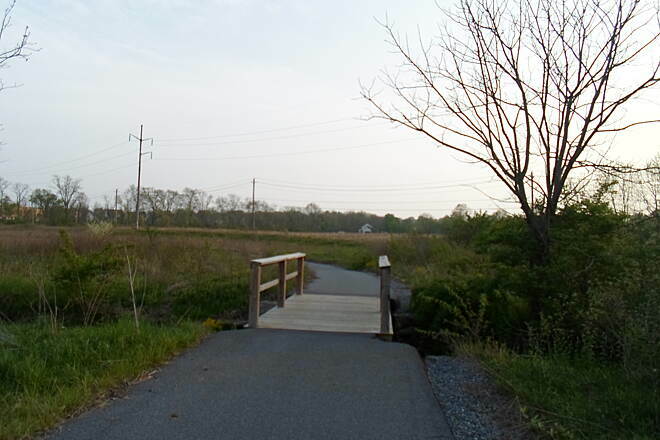 The southern branch of the paved, multi-use trail also features a boardwalk over the wetlands, which, along with the woodlands on the northern section of the trail, create an island of open space in the suburbs north of Lancaster. 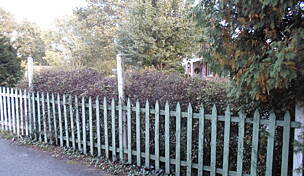 The trail can best be accessed from a trailhead that features a paved parking lot and kiosk at its northern terminus off Valley Road. 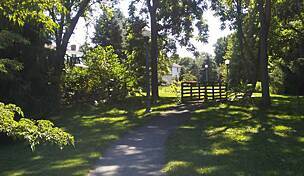 However, it can also be reached from Landis Valley Museum, Delp Road or the Worthington Center. 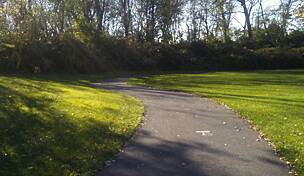 The trail currently links with a network of hiking paths in Landis Woods, and township officials plan to extend it south past Nitrauer Elementary School and Lancaster Bible College to Eden Road, and north to Manheim Township High School, in the future. 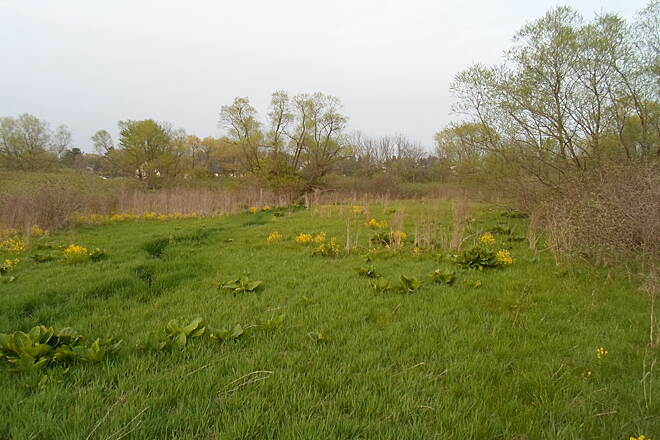 This will create a paved, multi-use trail that will run north to south through the heart of the township. 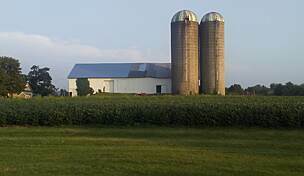 Parking is available at a trailhead with a paved parking lot off Valley Road, the parking lot for the Hands On House and Landis Valley Museum and at Worthington Center off Oregon Pike (Route 272). 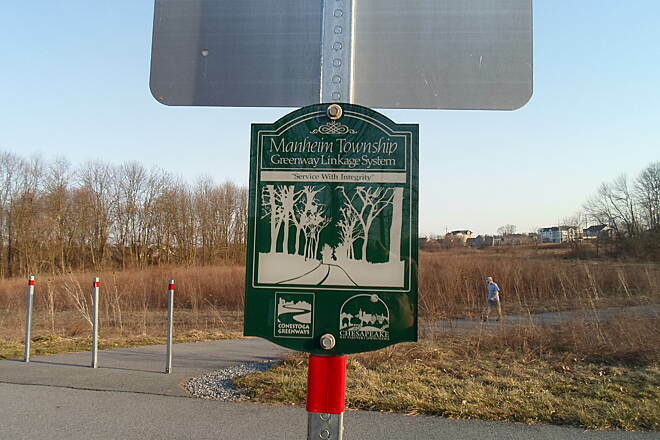 At a little over a mile in length, Manheim Township's Heritage Trail (not to be confused with York County's Heritage Rail Trail) covers a lot of diverse ground for a community trail. 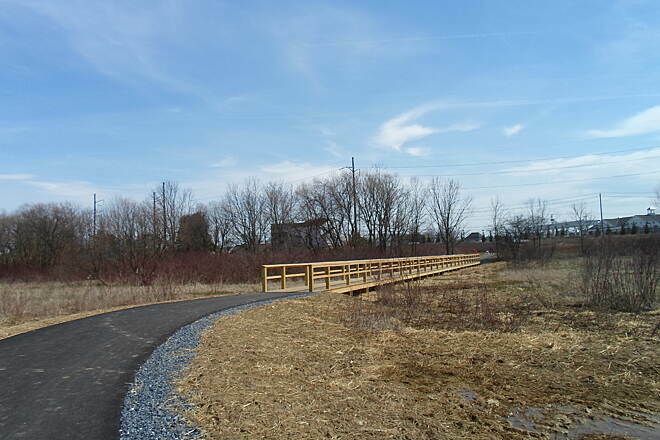 Envisioned as the main north-south "trunk" for a network of multi-use trails that the township is building, the Heritage Trail currently extends from a trailhead off Valley Road south, along the east end of Landis Woods to Delp Road. 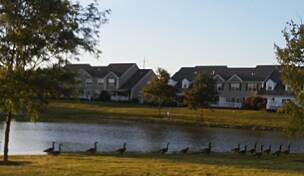 From here, trail users have the option of either following Delp Road east to the Hands On House and Landis Valley museums, and, thence, to Oregon Pike (Route 272) or continuing further south, through wetlands and meadows, to the mixed-use Worthington subdivision. 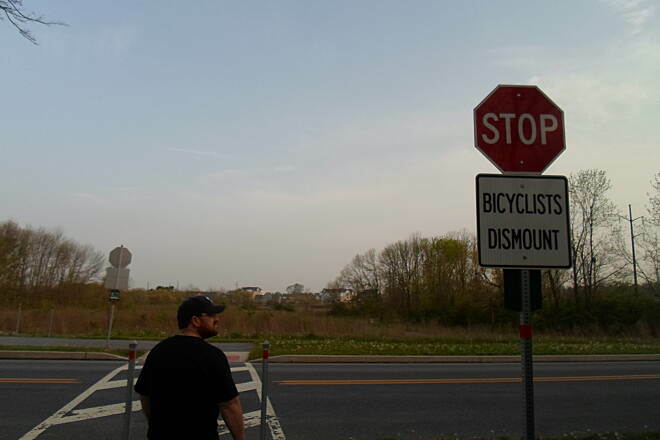 Although the trail currently dead-ends south of Worhtington, the township plans to extend it across Oregon Pike, past a nearby church, and connect it to another multi-use trail that passes Nitrauer Elementary School and Lancaster Bibile College, in the near future. 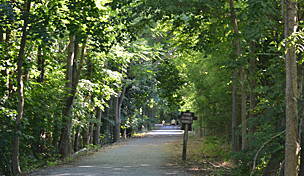 Starting at the Valley Road trailhead, the asphalt greenway passes behind homes and enters the eastern end of Landis Woods. 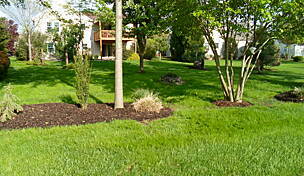 This segment is tree-lined and provides relief from the heat in the spring and summer months. 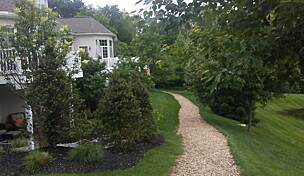 The "Blue Trail," a dirt hiking path, gives users the option of going deeper into the woods. 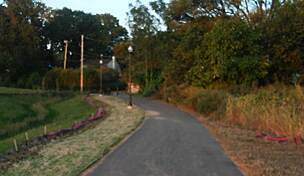 Although not completely level, the slopes have a minimal grade, and should be no problem for cyclists or moms pushing strollers. 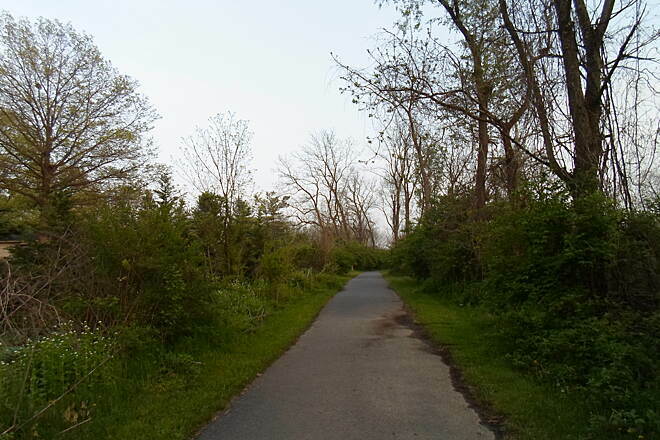 After crossing Delp Road, the trail enters a very different environment. 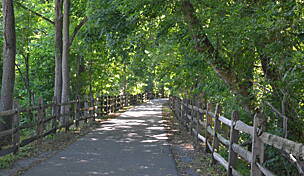 The woods give way to marshy grasslands, which the trail crosses over on a boardwalk for about 200 feet north of Worthington. 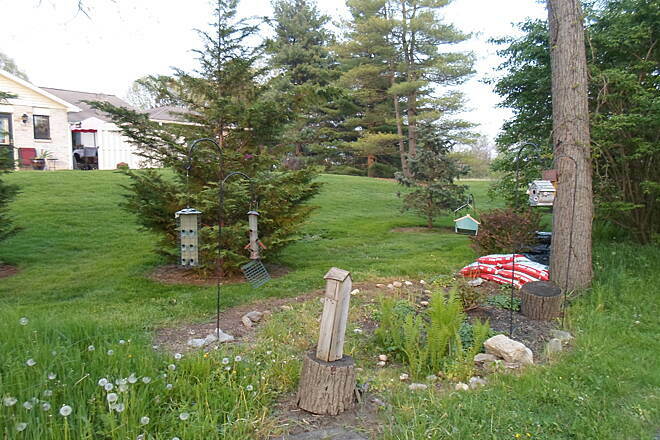 This is a great place for observing numerous birds, small mammals and even an occasional deer. 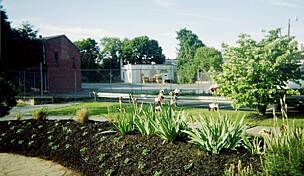 The trail then takes a sharp turn to the left, skirting behind backyards on the north end of Worthington, and parallels Oregon Pike for its final quarter-mile. Although the trail continues south of Royer Drive for another 500 feet, users should consider this the current southern terminus. There is a nearby parking lot in Worthington, which also features a Subway as well as Italian and Vietnamese restaurants. 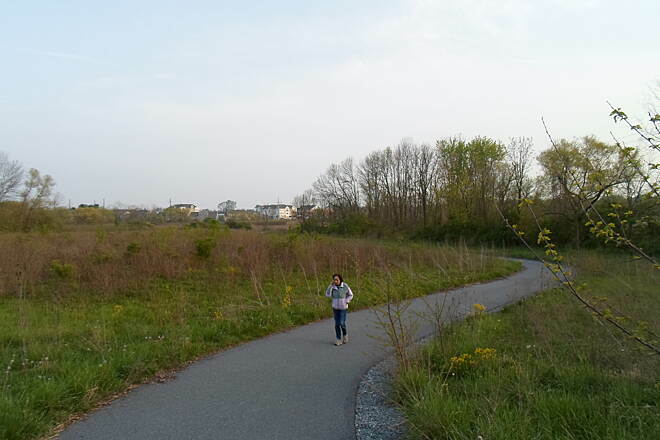 Despite its short length, the Heritage Trail is more than just a connector path, and should delight nature and history lovers alike.